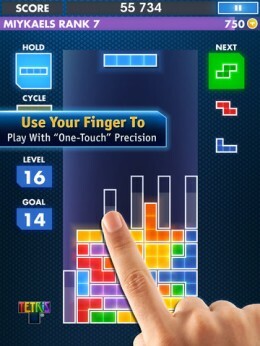 Eerily similar to getting Samsunged, iPad-owning Tetris fans got EA’d today. iPhone Tetris fans will know this song and dance all too well, as EA pulled it on them late last year. In a nutshell, the Tetris for iPad that you may know, love, and already own now ceases to exist. EA pulled it off the App Store to make room for the “new and improved" Tetris for iPad. What’s new with this version of the game? A whole hell of a lot of in-app purchase, extending as far as monthly and yearly memberships to the T-Club, which will get you a 15% bonus on top of the lines and T-Coins (the game’s consumable currency) that you earn by playing. Oh, EA’s Origin has also been shoehorned in. The sad part is that the Retina-ready graphics in this new Tetris look great on the new iPad, and the addition of the “one touch" control method make the game a lot more fun to play. But, again, much like the iPhone version, it makes absolutely no sense why this couldn’t have been an update to the existing game that everyone already paid anywhere between 99¢ and $7.99 for. It’s really hard to get behind EA as a developer or publisher on the App Store when they’re more than willing to pull these kind of hijinks. It’s one thing to submit new users to a bevy of IAP options, but by pulling the old game from the store entirely, if you lose the original Tetris .ipa file for any number of reasons, getting the game again is going to set you back the full purchase price. So, if you’ve got the original Tetris for iPad, make sure you keep it backed up in a safe place.